Wells SS206E and BMW206S series Built-In Rectangular Food Warmers are designed for bottom mount installation and to hold heated foods at safe and fresh serving temperatures. 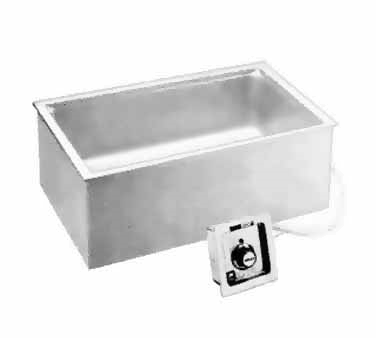 Wells SS206E and BMW206S Series accommodates one 12” X 20” standard food pan or equivalent fractional inset pans. The BMW series are fully insulated; sides and bottom for quicker pre-heat, faster recovery and energy savings. Both are designed for wet or dry operation.